Do you currently satisfy AS 4801/OHSAS 18001 certification, or are you interested in gaining compliance with the latest occupational health and safety (OH&S) standards for your organisation? If you want to improve the safety of your employees in the workplace and operate at the frontier of current OH&S compliance standards, now is your time. Published in March of 2018, ISO 45001 is an internationally recognised OH&S compliance standard. The framework comprises clear universal guidelines that can be implemented to regulate OH&S standards in any organisation – regardless of size, industry or location. Although not mandatory, gaining ISO 45001 certification has the potential to considerably benefit your business. Few people would argue that the safety of your employees in the workplace isn’t of paramount importance. Compliance to ISO 45001 will go a long way towards lowering risks and reducing the number of individuals who experience injury or illness while at work. Gaining ISO 45001 certification assures staff and other stakeholders that you are putting formal systems in place to prioritise the safety of employees. By adequately satisfying the requirements, you are also demonstrating your compliance with current legislation and OH&S international standards. In the transition from the previous OH&S standards AS 4801 and OHSAS 18001 to ISO 45001, there have been a number of significant changes. These key differences are explored below and will assist you in identifying the main adjustments that would need to be made for your business to achieve compliance and, ultimately, certification. 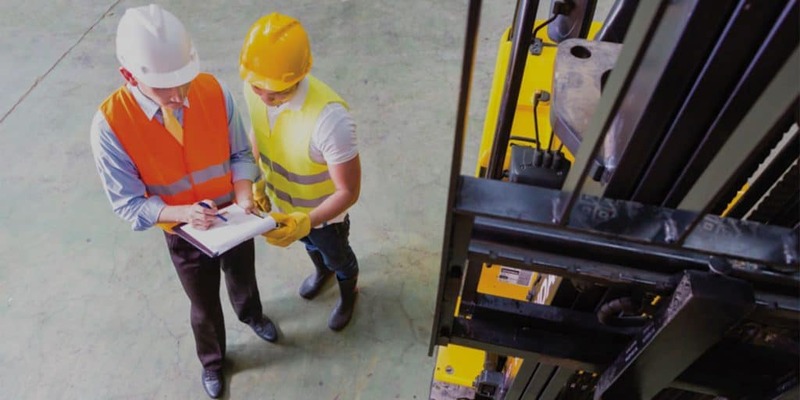 In gaining ISO 45001 certification, management now have the distinct responsibility of communicating directly with employees to encourage a universal culture of safety. The ISO 45001 standard acknowledges the active and participatory role required of management, and the importance of senior organisation members to lead by example when working to improve OH&S. To gain certification, management of your organisation need to become particularly engaged with employees and display a clear commitment towards improving their safety in the workplace. ISO 45001 encourages a shared responsibility between all members of an organisation to improve the overall safety of employees. When acquiring ISO 45001 certification, your organisation will need to ensure that preventative OH&S action is understood and implemented across all levels. As such, staff members are expected to contribute greater involvement and broader participation when implementing a safety management system (SMS). It’s essential that your employees have the relevant skills and knowledge required to identify potential risks in the workplace. For this reason, ISO 45001 certification also places a strong emphasis on the importance of education and training programs. This focus ensures that your employees are well equipped to work proactively in their role towards the improvement of OH&S in your organisation, and that they’re taking appropriate preventative measures to avoid injury or illness. Ultimately, there is the shared accountability of both management and employees to work cooperatively in lowering OH&S risks. What strategies do you currently implement to lower risks in your workplace? The previous OH&S standards OHSAS 18001 and AS 4801 applied a predominately reactive approach to hazard control. In gaining ISO 45001 certification, you’ll now need to ensure that your business has appropriate processes in place to proactively identify risks and evaluate their possible remedies. This approach is vital in improving the overall safety of your employees in the workplace. If members of your organisation have the ability to effectively determine potential risks, you have the opportunity to eliminate hazards prior to individuals experiencing injury or illness. Finally, like all of the latest ISO standards, the new ISO 45001 is based on the Annex SL. Annex SL is a high-level structure that is compatible across all ISO frameworks, allowing for an integrated approach when implementing multiple management systems. The guidelines are formed by a set of ten distinct clauses that can be applied to all ISO management system standards. Managing multiple management systems can be challenging for many organisations, resulting in duplication and variation/ inconsistency across disciplines and roles. Annex SL allows your organisation to efficiently integrate numerous requirements and standardise the framework for all ISO compliance requirements across the organisation. For more information on how ISO 45001 can be implemented in your company, view our webpage. Contact our experts for professional assistance in making the transition to ISO 45001 certification, or to evaluate the compliance of your current system. For a free, no-obligation consultation call us on 1300 132 745.